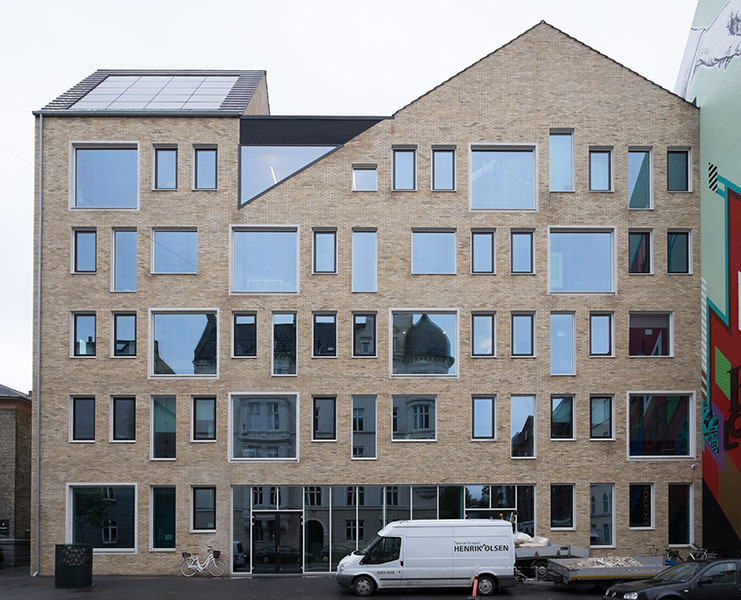 Copenhagen's apartment blocks interested me in the way the windows appear to roam and explore the facade--ranging from slight distortions of a regular grid to playfully, deliberately displaced window grids. It seemed particularly interesting as a hybrid between vernacular architecture, with its brick facades and pitched roofs, and modernist efficiency/scale, a combination I don't often see. American norms seem to vacillate either in between the domestic, suburban scale of the detached single family home or urban towers and density. In between, the strip mall exists as an intermediate scale, perhaps, but completely separate from urban inclinations towards density that might produce this sort of interaction. 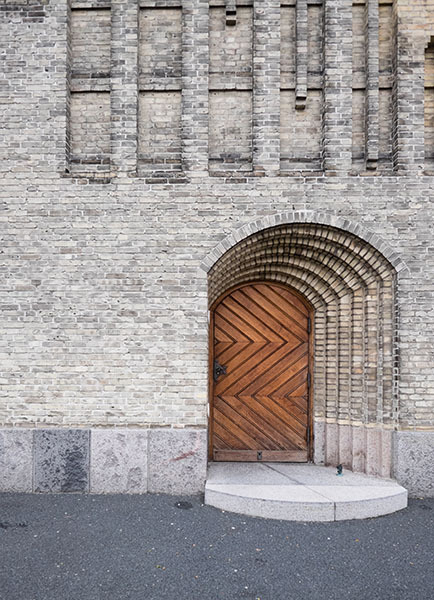 Of course, New York and Chicago's Gothic towers might arguably have some of these hybrid characteristics, but I would argue that those were simply towers with a historic skin; in Copenhagen (and probably many other European cities) the vernacular and modern seem to push back on each other typologically as well. The scale and form of the townhouse is expanded just to the cusp of being an apartment block, with its attendant organization and grid tendencies, while often keeping some of the idiosyncracies of the townhouse. 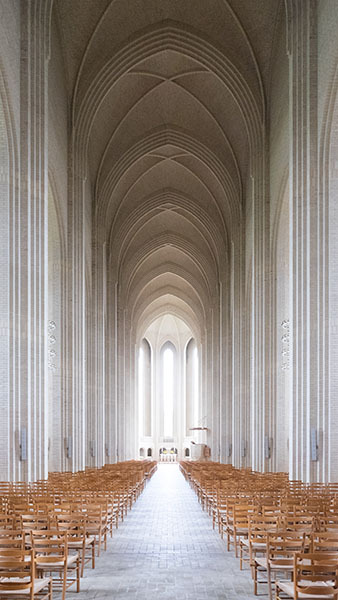 On another level, Copenhagen's Grundtvig Church is a strange hybrid as well: between Danish village architecture, expressionism, and Gothic religious architecture. Brick expressionism is the formal glue that ties the set together.